"... Covit in the Luxepack of New York On 14 and 15 of May 2014, COVIT Luxe Technology will present its new products at the fair Luxepack of New York, such as Zara for Him, Jaguar or its new Make Up line. 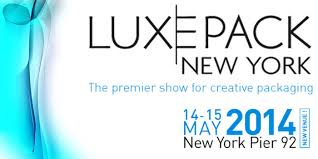 Luxe Pack New York, one of the most important shows of the creative packaging sector, is adding more exhibit space to accommodate additional exhibitors in 2013. More than 150 exhibitors are expected to showcase the foremost innovative packaging in the world for all luxury sectors including cosmetics, fragrance, personal care, food or wine. Covit 2015 ..."